San Blas still conserves the old-world charm and great hospitality, so that the visitor will take a fascinating journey back to the time. The Historic Port of San Blas, located in the Riviera Nayarit, is the type of destination that is perfect for a weekend getaway with family and friends. Visiting San Blas is like stepping back in time, to a time when things moved slower. Here, even simple daily activities such as strolling along the streets or drinking a cup of coffee take on a new dimension with a heightened sense of enjoyment. 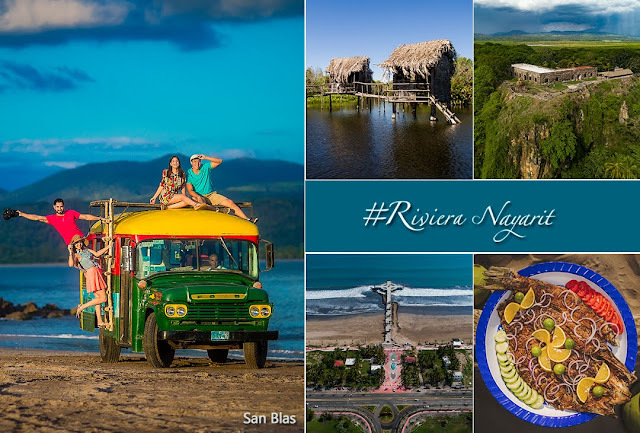 As you explore the streets you will relive the events of years past that have marked the history not only of the state of Nayarit but of the entire country of Mexico. The origins of San Blas date back to the late seventeenth century, a time when the port was constructed as a shipyard and point of departure of the colonization expeditions of the Spanish Crown. Today San Blas is a quiet fishing village and is best known for being the most popular destination for Birding in Mexico. Some of the bird species are particular to the region and are a big draw for international tourism. Other important bird watching routes are: Zoquipan Lagoon, located in the Marismas Nacionales, providing temporary winter shelter for migratory birds. Singayta, La Bajada, Tecuitata, El Cora Cascade and La Noria Ecological Ranch. 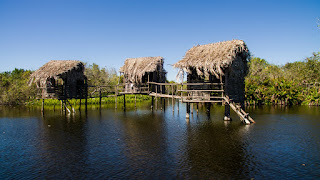 The town is also famous for La Tovara National Park, an amazing network of estuaries and canals surrounded by lush vegetation, for its delicious pescado zarandeado (grilled fish), for its banana bread and, of course, for the story of "La loca del muelle de San Blas ", Which inspired the Mexican group Maná to compose their song" En el muelle de San Blas ". When you come to the Riviera Nayarit be sure to visit San Blas, your trip to this port will be truly historic! Farther down river is a community crocodile sanctuary “Kiekari”, where you can admire reptiles and a variety of animal species as well as take part in important wildlife research and protection efforts. San Blas has a coastline of 40 kilometers of pristine beaches with gentle waves, the perfect place for a family getaway. 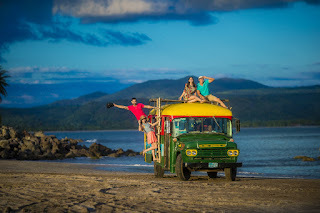 Some of the most popular beaches in San Blas are: El Rey, El Borrego, Las Islitas, Mantanchén, Aticama, Miramar, Los Cocos, Santa Cruz and Platanitos. The impressive Matanchen Bay is a must for beach lovers. 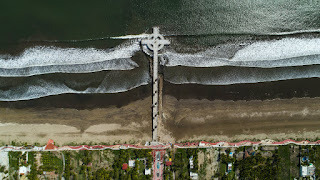 Matanchen has the the longest wave in the world, as it reached over 2 kilometers in length and could be seen from Matanchén to Stoner Point Break. Currently there are a few other longer waves around the world, but this is still the longest one in North America. Another famous beach in San Blas is Las Islitas, one of the most recognized beaches in the area and very memorable for those who visit. Its gentle waves have made it a very safe and comfortable place for those longing for a stress-free vacation. El Borrego beach, whose fine Golden sands stretch for two miles, is one of the most frequented destinations among lovers of big waves, and after a quick boat ride, you can explore the wonders of Isla del Rey, a Paradise of natural beauty. 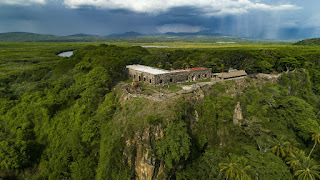 La Contaduría in San Blas, located in the mountains of San Basilio, harks back to the year 1773 and is one of the places that saw the most battles in the long history of the port. Its beautiful colonial architecture and imposing cannons are mute witnesses to past glory. As the departure and arrival point for the legendary Manila galleon, it was also the most important center for business and product and cultural exchanges between America with Asia and Europe. Currently, La Contaduría has a museum where visitors can see the remains of the bravery and pride of the people of San Blas. Along its 40 kilometers of pristine beaches you can find typical “palapa” (palm-thatched-roof) restaurants where you can taste the exquisite cuisine of the region, characterized by wonderful local ingredients and fresh seafood. 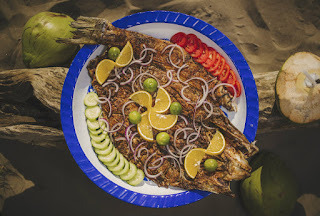 Some of San Blas gastronomy “musts” are: the pescado zarandeado, the coconut shrimps, pineapple and milk cocadas and the original recipe of Juan Bananas’ banana bread, a delicious dessert offered in his store since 1973, it is located in H. Batallón de San Blas #219. If you prefer a gourmet and fine experience, reserve your stay at Garza Canela hotel and enjoy the delicacies of its famous restaurant El Delfin, leadered by Chef Betty Vázquez, the Riviera Nayarit’s Culinary Ambassador and Master Chef Mexico judge. Betty and and her sisters, owner of this hotel in San Blas will provide all world visitors with the unique Nayarit’s warm hospitality. San Blas is located 39 miles northwest of Tepic, capital of the State of Nayarit, by way of Federal Highway 15; with convenient proximity to four cities with airport and bus station such as Guadalajara, Tepic, Mazatlan and Puerto Vallarta. From Puerto Vallarta and Banderas Bay: Federal Highway 200 in Las Varas take the road that marks Zacualpan to take Interstate 16. By Plane: The Puerto Vallarta International Airport is located 3 hours South from San Blas. The Guadalajara International Airport is 4 hours far and Tepic National Airport is an hour and a half distance. By car from Guadalajara, Mexico City and Central Cities: You have to arrive to Tepic. Then, to access the new highway, you must leave Tepic either through the Nogales Bypass or the famous Insurgentes Avenue, heading to Mazatlan. In less than 5 minutes, exactly at km 6.5 and just before the Trapichillo Toll Booth, you will see the deviation to San Blas.